The enrolment of a student for a particular School Year obliges the student/the parents to pay the tuition fees applicable for that particular School Year (hereafter "Tuition Fee”). The Tuition Fee is specified in the Tuition Fees Schedule, published on the school's website and provided to the student/the parents upon the First Enrolment. The full Tuition Fee is payable in advance. The Tuition Fee invoice for a particular school year is issued in June. The Tuition Fee covers all curricular activities that are a compulsory element in the student's learning program. 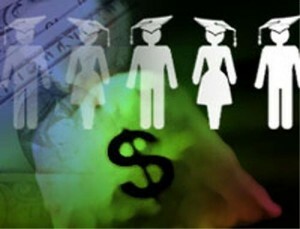 The school reserves the right to modify the Tuition Fees should this prove to be necessary to reflect increased costs. The modification of the Tuition Fees shall be published on the school's website and the student/the parents will be notified in writing. In case the student/the parents sign up for services offered by the school that are not a compulsory element in the student's learning program, (such as but not limited to the bus service, extracurricular field trips, afterschool extracurricular activities program, lunch, etc), the student/the parents agree to pay the fees related thereto (hereafter "Other Fees”). The amount of the Other Fees and the signup procedure for these additional services are published on the school's website and available upon request. The signup procedures and the amount of the Other Fees are hereby accepted by the student/the parents. In case the student/the parents sign up for the lunch service the student will be given a lunch card. Lunch cards are distributed to the students by the divisional offices at the start of the school year. The lunch card will only be valid if the direct debit form is duly completed and signed. For a particular School Year, the entire Tuition Fee is due by the student enrolled for that School Year. If the student leaves the school before January 31 of the School Year concerned, the school will reimburse 25% of the Tuition Fee and of the Other Fees where applicable to the student/the parents. All invoices of the school shall be due and paid in full within 30 days from the date of the invoice. After the due date for payment the unpaid invoices shall automatically carry an interest of 10% per year without any written notice from the school. A fixed indemnity of 100 EUR for administration costs for each unpaid invoice shall also be due to the school. The school also has the right to retain the student's school report cards in case the Tuition Fees or Other Fees are not paid in full. Extra-curricular activities, including DLPlus and outdoor education trips. The athletic program travel costs.